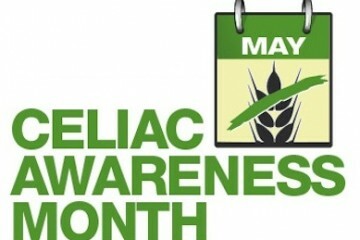 To help spread the word about Celiac Disease during May, I’ve asked a friend, who was the one to make me aware of Celiac to share her story with you. Hi! My name is Linda Hill and I live in Tucson, Arizona. I am a wife and a mother of 2 adult daughters. Lois has asked that I write about my experiences of living with Celiac Disease. Unlike many gluten-free diet followers, I was diagnosed with Celiac Disease (CD) at the age of 9 months. It was considered very rare at that time (1953). Another health issue which required surgery is one of the reasons for the early diagnosis. 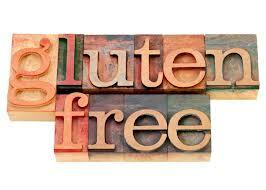 Even though I had an early diagnosis, I have not led a completely gluten-free life. The information given to my parents at that time was not quite accurate. They were told that I would “out grow” the condition and that they should try to re-introduce wheat products in small amounts. So, my exposure to gluten was limited throughout my life, but not absent. At some point in my late 30’s I read an article on CD and gluten-free cooking. It struck a chord within me and I decided to give it a try. I bought several different kinds of gluten-free flour and tried to make my own blend of baking flour following the directions in the article. I was miserable! I could not get anything to turn out or taste good. My attempt at gluten-free cooking lasted for about 3 months. I gave up and returned to ‘normal’ cooking methods with an effort at avoiding baked goods. That avoidance didn’t last long, either! Prior to this time of experiment, I had been taking my younger daughter to pediatricians for unexplained stomach aches and constipation. I even made certain to tell them that I had been diagnosed at an early age with CD. I had one pediatrician tell me that it wasn’t considered hereditary and sent us off with advice to keep her well hydrated. Fast forward to my late 40’s. I was again reading another article on CD. This time, a more comprehensive list of symptoms was included in the article. I could easily see me in this article, but more importantly, I could see my daughter. I printed the list of symptoms and left them out for her to read. After consulting with her doctor, we decided it was time to get serious about our gluten-free life style. This time it was much easier. There were a few food companies who produced gluten-free flour blends and baking mixes. The products were there, but they weren’t always easy to find. However, my daughter and I were encouraged by the quality and results of some of the products and we were determined to make the commitment to a GF life. As a mom, it was easier to accomplish a GF cooking change because I wasn’t doing it just for myself; my daughter needed it, too. I started my research on the internet and stocked the pantry with GF products. Some of the products were instant hits and others were immediately discarded after the first taste. Persistence is key in making any dietary changes. Fortunately, the food industry was also paying attention to the growing GF needs. Celiac Disease, and other health issues that respond to a GF diet, were making the news. Several GF companies were established and my desire for cooking experimentation increased. Over the past 12 years, I have converted all of our family favorites at least once or twice. I have never cooked separate meals for our family. Everyone eats a gluten-free meal. I do keep a loaf of regular bread and a box of Ritz crackers for my husband, but our meals are gluten-free. It would probably be good to note that I have always loved to cook! Little by little, I pulled out my everyday recipes and began to experiment using the GF flour blends. Articles in a magazine, Living Without, and recipes on the internet, became my research reading. A key factor for anyone who loves to cook, and eat, is a successful result. The information about the variety of GF flours and their uses, is what inspired and encouraged me in converting my recipes. Flours that use chickpea, also known as garbanzo, as a base flour are best used in dense bread recipes. Flour blends that are primarily finely ground rice flour and tapioca starch or potato starch are best suited for pastry baking. In my own experimentation, I found that an equal blend of corn flour, potato flour and GF multi-purpose baking flour make an excellent coating for braising/browning meats and poultry before adding them to a casserole style meal. Corn starch is often used as a thickening agent and I found that using potato flour is great in making a roux for gravy. Please, note that I have mentioned potato starch and potato flour. These are very different products and are not to be used interchangeably. My best advice to anyone faced with making a change to a gluten-free life style is to not be intimidated. Experiment, make notes of what works best for your tastes, and keep trying until you get a recipe that fits your tastes. Using fresh vegetables, fruits and meats are another key factor in GF cooking. Limit the use of processed foods. However, sometimes it’s necessary to use them for convenience and label reading is important. I invite friends to dinner quite often. They all know that they will be dining on a gluten-free menu and I never get a refusal to my invitations. Most of them will still question, “Is this really gluten-free?” It can be done and done well! Restaurant dining is another topic altogether! So, briefly, I will say that the key to success is to speak up. Ask your server for a GF menu or for recommendations from the kitchen. Let them know that there is an allergen alert for gluten intolerance. Some restaurants will respond well and use a cleaned griddle surface and the cook staff will change their gloves before prepping your meal. Others will tell you that they are not equipped to handle your requests and that there may be cross-contamination. Again, I use the internet for information. I will often look at an on-line menu before choosing a restaurant. Fortunately, Tucson has several restaurants that are very responsive to the needs of a GF diet. Travel can sometimes be a challenge. However, I find it less and less of a challenge as dietary needs of all kinds are more widely discussed. Cruise lines and airline companies are very well versed in a variety of dietary needs and they are eager to accommodate their patrons. It seems there is also a universal awareness. I have traveled in parts of Europe, Australia and Israel and I was thrilled to find that most places knew about gluten-free needs. I still travel with some GF snacks in my luggage, but with each successful vacation I am encouraged to try new locations. So, I will repeat my advice. Do not be intimidated! Think about the positive changes that will occur in your life by following a diet that is more friendly to your digestive system. I know that I found more energy, less joint pain, and a clearer thought process once I adhered to the gluten-free diet. Linda, thanks for sharing your experiences. It makes me realize how fortunate I am that my food choices can be based on preference and not necessity.